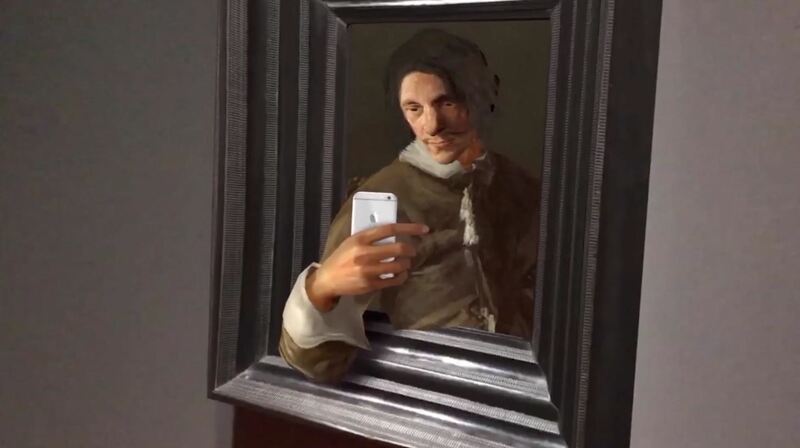 If you've ever wanted to see a selfie stick in centuries old works of art, now's your chance. The Art Gallery of Ontario is launching an exhibit called "ReBlink." 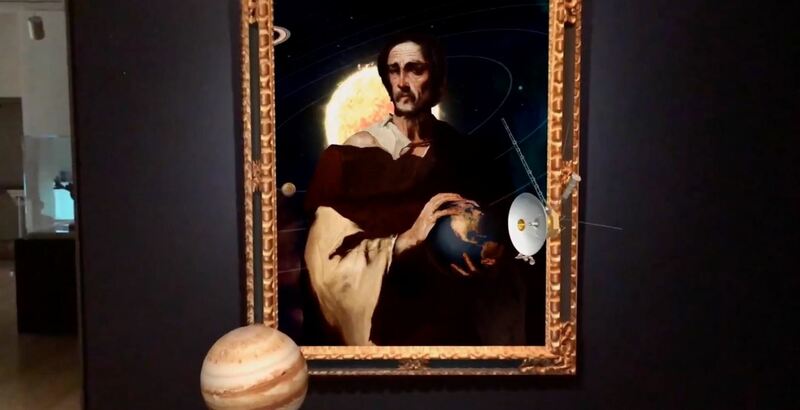 The exhibit uses augmented reality to give modern updates to their paintings which visitors can see through their smartphones or tablets. When users walk into the exhibit, they can point their devices at a painting which will then blink and come to life. 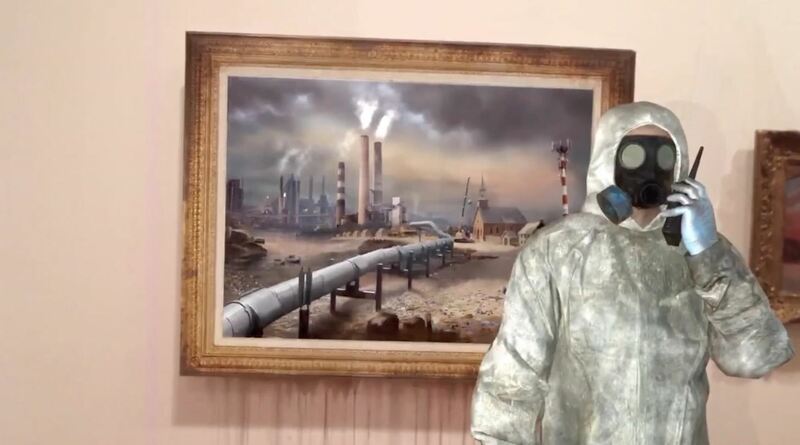 A promotional video released by the company showed an example of a man in a gas mask and hazmat suit appearing out of an industrial painting. Another clip showed the woman in one of the gallery's most famous portraits, The Marchesa Casati holding a selfie stick and posing for the picture. There are also various works of art that are simply animated versions of what their paintings hold. All in all, the examples they showed looked cool and a little unnerving. 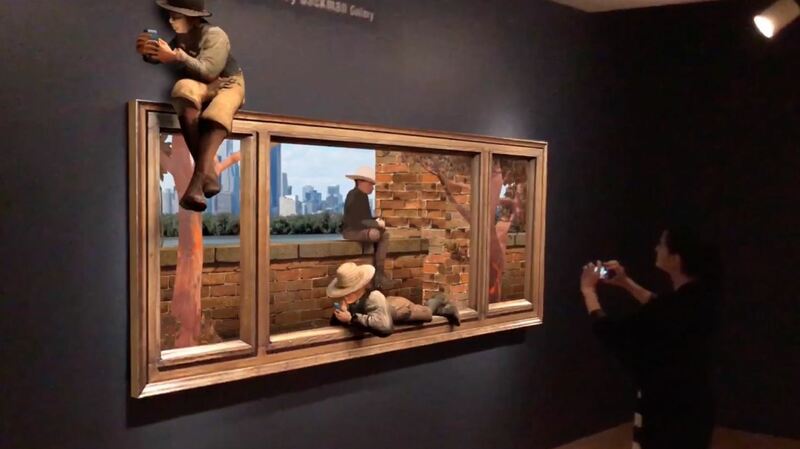 We're trying to get people to stop, pause, have a look, use the intervention of understanding the paintings that they may not otherwise have a connection with. But the irony of it all is that we're using mobile phones and technology to facilitate that. We want to increase engagement levels through technology rather than making the situation worse. This development will certainly make the museum more engaging, namely for younger people. Still, it's ironic that a platform meant to make people step away from their hectic smartphone lives can be found on smartphones. Any visitor, whether it be iOS or Android holders, can download the ReBlink app for free. The site also advises users to bring headphones for optimal experiences. The exhibition lasts from now until December 3, 2017.